QUESTION: I have heard that Platonism ought to be approached as a ‘therapy of the soul’, or literally as psychotherapy? Can you explain this? Answer: Yes. A central premise of Plato’s writings is that human beings customarily operate at a ‘fallen’ level of mental functioning. Platonism aims to correct this problem. To avoid getting too mired in the modern medical model, we could alternatively think of this fallen state not as a disease, but as immaturity. Seen this way, Platonism’s purpose is to assist human beings in developing their full, natural capacity as intellectual, moral, and spiritual beings. Q: What are the characteristics of this ‘fallen’ state of mental functioning? Anxiety and worry, negative thinking, distraction, unhappiness, to name a few. The list is almost endless. A simpler way of looking at things is by analogy to attention deficit disorder (ADD): our habitual condition of mind is, relative to our ideal or intended state, what ADD is relative to our habitual state. That is, many of the same cognitive abilities that are impaired in ADD are also impaired in our ordinary fallen state — to a lesser, but still to a very serious degree. Another analogy is to intoxication. If one can achieve the higher level of mental function Platonism aims for, one’s ordinary state of mind may seem as one of comparative drunkenness. But rather than list the problems of our ordinary state, which are only too evident and familiar, it is better to examine the nature of the healed, ‘saved’, or ‘redeemed’ state. Q: What are qualities of this healed or ‘saved’ mental condition? While peak and plateau experiences are of limited duration, Maslow also noted that over time a person may become more adept at bringing them about. As they become a more common feature in one’s life a general positive transformation of personality may occur. Maslow, however, operating in the scientific-positivistic climate of the 1950’s and 1960’s, did not sufficiently emphasize the moral or spiritual aspects of the Being state. Q: Can you elaborate on the moral aspects? Yes, and this is very important. There is an unfortunate tendency today to confuse morality with moralism. The latter is a rigid frame of mind which seeks to conform all behavior to fixed rules, largely proscriptive (“thou shalt not…”). This legalistic approach does little to develop ones innate moral sense. Rather, it is often yet another manifestation of the fallen condition of the mind. Morality is something different, something positive. It affirms that human beings are designed to be moral; and that moral actions and virtue come naturally and instinctively, and are essential to ones happiness, well-being, and integrity of personality. Platonism sees an integral connection between intellectual and moral life. Moral development comes from intellectual or illuminative insights into ones own nature. Platonism seeks to cultivate the life of ones higher mind, the source of these intellectual and moral insights. This has two components, the purgative and the illuminative. The purgative part of Platonism seeks to correct our habitual forms of negative thought and emotions, which impair our ability to consult our higher mind. The illuminative part is concerned with actually accessing the higher mind. Q: And the spiritual aspect? The spiritual aspect of Platonism is what some writers call the unitive life. It is, of course, something understood by experience, not description. However certain leading principles of this state can be noted. In general, we could describe this state as a form of humility, in which the ego no longer seeks to be ruler of ones psyche, but rather is content in the role of helper to something greater than itself. Now as to what this other entity is, opinions vary. The traditional view, of course, is that it is God. Some, however, such as Jungian psychologists, understand this other as a higher self or Self. To some extent this distinction doesn’t matter — provided that the ego has sufficient respect for this ‘other’ that it relates to it as something holy and sacred. The proper relationship of the ego to this entity, whatever it is, is one of piety and trust. In this way a person is no longer constrained by the limitations of egoistic over-control, and the various forms of mischief the ego can create. One is more creative and spontaneous, and, in a word, more happy. Various names given to this condition are self-actualization, self-realization, and individuation. Another way of seeing things is that Platonism is a form of yoga. Etymologically, the word yoga is related to the word yoke. It refers to establishing an ongoing connection or yoke between the ego and this higher ‘thing’ which is God or a higher Self. Note that the word religion has the same meaning of re-connection, as the stem ligio means to connect or bind, and is related to the word ligament. So we see that, despite certain differences, Platonism, yoga, and traditional religion all aim to restore a kind of natural state or harmony of soul in which the ego finds its proper role. All of these traditions express a kind of instinctive knowledge human beings have that their ordinary state, where the ego is out of control, is unnatural, but can be corrected. Q: What then is the relationship between Platonism and religion? Platonism overlaps with that part of traditional religion concerned with Wisdom. Wisdom is an important part of religion, but it is not the only part. Nevertheless, Platonism complements and may enhance ones experience as a Christian, Jew, Muslim, Hindu, Buddhist, etc. Many of the greatest Christian thinkers throughout the centuries were also Platonists — for example St. Augustine and St. Thomas Aquinas in the West, and St. Gregory of Nyssa and St. Maximus Confessor in the East. Traditionally, Greek philosophy has been called the handmaid of theology, and this is an apt description of Platonism. Q: Is Platonism for everybody? Each person is a unique individual, with their own preferred ‘yoga’. For some a yoga of the heart (e.g., charity and service) is best; for others a yoga of Wisdom such as Platonism is more suitable. In general Platonism will appeal most to people who already have a strong intellectual inclination. It is my observation that in modern times people are overall becoming more intellectual, so that Platonism may have broader appeal today than in earlier centuries. Q: Very well. How does one go about learning Platonism? First you should know that most of what is written about Platonism, especially in modern times, is of dubious value. Modern philosophers, generally speaking, no longer understand philosophy as a form of psychotherapy, but see it only as an arena for abstract speculation, controversy, and other forms of self-aggrandizement. For this and other reasons, there is no substitute for reading Plato’s own works. This is made easier by the fact that Plato was great literary genius as well as a philosopher. Once you get accustomed to them, Plato’s dialogues are very easy and enjoyable to read. I would recommend starting with one or two of Plato’s early dialogues, such as Charmides or Lysis. These make for pleasant reading and, while they are not his greatest works, help one get a ‘feel’ for Plato. Eventually one will want to work up to his more significant works: Phaedrus, Symposium, Phaedo, and of course what is perhaps his greatest, The Republic. 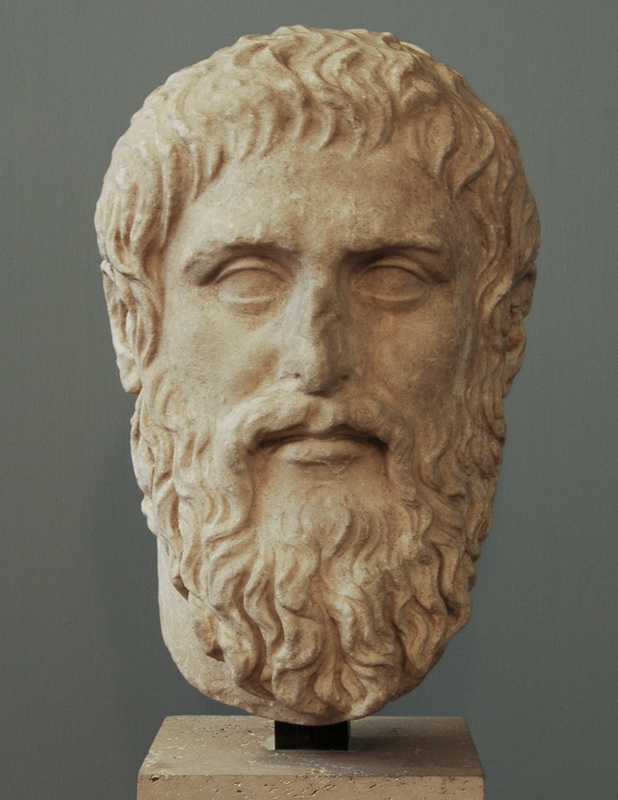 After reading one or two of his dialogues, you might want to read some of the myths which Plato placed in several of his works. This may help give you an appreciation of Plato’s mystical and intuitive side, which complements the more analytical style found in his prose. Not all translations of Plato’s works are of equal value. While some modern translations are excellent, others are not. I generally find older translations, especially those of Benjamin Jowett, and those the Loeb Classical Library, more than satisfactory. The Jowett translations, all in the public domain, can be readily be found online. Many of the Loeb editions are also in the public domain and can be found at http://www.perseus.tufts.edu. I have also provided short explanations of certain key terms found in Plato’s works which may assist you. Arvanitakis, K. I. Psychic structure, psychic illness and psychotherapy in Plato and Freud. Confin Psychiatr. 1980;23(3):164-72. Cavarnos, Constantine. Fine art as therapy according to Plato. ΦΙΛΟΣΟΦΙΑ (Academy of Athens) 7, 1977, 266−290. Cushman, Robert Earl. Therapeia: Plato’s Conception of Philosophy. 2nd ed. Westport, CT, 1976. (repr. 2001, Transaction). Gill, Christopher. Ancient psychotherapy. Journal of the History of Ideas 46.3 (1985): 307-325. Maslow, Abraham H. Toward a psychology of Being. 3rd ed., Foreword and Preface by Richard J. Lowry. Wiley, 1999. 2nd ed., Van Nostrand 1968; 1st ed., Van Nostrand, 1962. Maslow, Abraham H. The Farther Reaches of Human Nature. New York: Viking, 1971. (repr. 1993, Arkana). Thome, Johannes. Psychotherapeutische Aspekte in der Philosophic Platons (Psychotherapeutic Aspects of Plato’s Philosophy). Hildesheim: Ohms-Weidmann, 1995. Many people who call themselves agnostics are arguably dogmatists. Why do I say this? Because today atheistic-materialism is a received opinion, a dogma. And the dominant cultural assumption, as expressed in higher education and mass media, is that Christianity is obsolete, disproven, and all but finished as a paradigm. Someone like the comedian, Bill Maher, can get on television and make snide jokes about Christians, and imply by innuendo that all Christians are basically stupid bigots, and everyone accepts these statements as completely ordinary, or even ‘cool’. Nobody expects him to defend his accusations with intelligent arguments. The problem is that this so-called conclusion is very far from the truth. Christianity has not been refuted or debunked. Rather, the logical fallacy of ‘demolishing a straw man’ has been committed on a massive scale. The poorest examples of Christianity (e.g., fundamentalists) are held up as the examples, and these are ridiculed. The problem is that Christianity is not defined by it’s poorer examples. In the same way, if we wanted to ridicule democracy as a principle, we could easily find examples where democracy is abused, ridicule those, and thereby conclude that all democracy is bad. The same principle applies to any ideology or institution. The simple truth, evident at least since the time of Socrates, is that *most people* are deeply confused. Christianity is no exception to this rule. In fact, one could argue that confused people *should* join a religion — since the express purpose of religion is to un-confuse people. But no religion claims to do that without a long process. Hence, it is perfectly consistent with the principles of Christianity that, at any given point in time, most Christians are poor Christians! A true agnosticism would embrace the principle of intellectual humility. An intellectually humble person doesn’t follow the scenario outlined above. Intellectually humble skeptics or agnostics would recognize their ignorance as a liability, and therefore make a determined effort to investigate all plausible possibilities that might lead them to a definitive, or at least probable, opinion. The first prerequisite of such an orientation, therefore, would be to struggle heroically to divest oneself of prejudice — for all people, being inclined to self-interest, habitually distort and select evidence in self-serving ways. Next, a virtuous skeptic, in the Socratic tradition, would seek out not the worst examples of an opposing viewpoint, but the best. Here then is my challenge to skeptics or agnostics who want to exert themselves manfully (or womanfully). I propose that the work of the Roman philosopher, Cicero, titled On Moral Duties (De officiis) expresses, even though it is not an explicitly Christian work, essentially the same religious world view on morality as Christianity does. What I’m suggesting is that the work is something extraordinary, sublime, beyond the merely rational, or, if you will, inspired. Cicero’s eclectic synthesis of Platonic, Stoic, and Aristotelian ethics was integrated into Christianity via the later writers such as Ambrose of Milan, St. Augustine, and many others. The spirit of Christian morality is in it. That is, Cicero’s philosophical writings contain much of what is best in the Christian moral tradition. Yes, Christianity assimilated it from a non-Christian writer, but this was done, for the most part, in conscious recognition and admiration of Cicero. Cicero’s work is also extremely interesting and entertaining to read. It is a literary masterpiece, and ought to be read by everyone. Nor can I imagine anyone reading without their feeling edified. That is the proposal I would make to the sincere skeptic or agnostic. 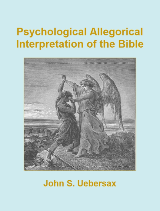 Read this work, and having your mind placed on a higher plane, as reading the work should do, then in that light you will have a more solid and unprejudiced basis for evaluating the plausibility of the Christian tradition. If the moral principles advocated by Cicero in the work, for example, are laudable and socially constructive, that would be something to factor into an evaluation of the merits and truth of Christianity, which has preserved this moral tradition, and taught it to countless millions of people. This page has links to several translations of On Moral Duties that can be read online or downloaded. The Peabody translation is excellent.